Hi, I’m Marissa Towndrow, mum to 2 sparky little girls and juggling wife to a very supportive hubby. We’re both expats; me a Kiwi, him English, and after many years of travelling, Australia is now our home. We’re both super amazed to have settled in this gorgeous country and be bringing up our own 2 little Aussies. I’m an award-winning Landscape Architect & Project Manager. Before getting in touch with Nat I had just returned to work from maternity leave, was feeling dissatisfied and isolated in my career. The ground had shifted, from being a valued member of the team I was suddenly marginalised as just a ‘mum’. They knew I could do the role, had done for years, but I was expected to mentally step down as the senior. It was like they believed my brain no longer functioned now I was a mum. My nature is not such that I can easily sit still and twiddle my thumbs so I started to look for a new challenge, one that fulfilled my desire for growth but also allowed me to balance this with family needs. I moved to working part-time as a Sales Manager for an environmental company managing government contracts and new tenders. The owner loved having my skills on board and within 6 months I had doubled their projected turnover. This then opened my eyes to the potential what ifs, could I do this for myself? You know, that story you hear and aren’t sure whether it could really be true. It was one of those moments where your whole life is turned upside down and you are left in complete and utter WTF shock. Yeah. Me. That was me. Lipsticks, coins, that day old half eaten sandwich that the kids didn’t want anymore, water with the lid not screwed on properly leaking everywhere. That was like how my brain fell out of my head when I found out. I’m Andrea, I’m a midwife, child health nurse, wife and mum to a busy three-year-old girl. 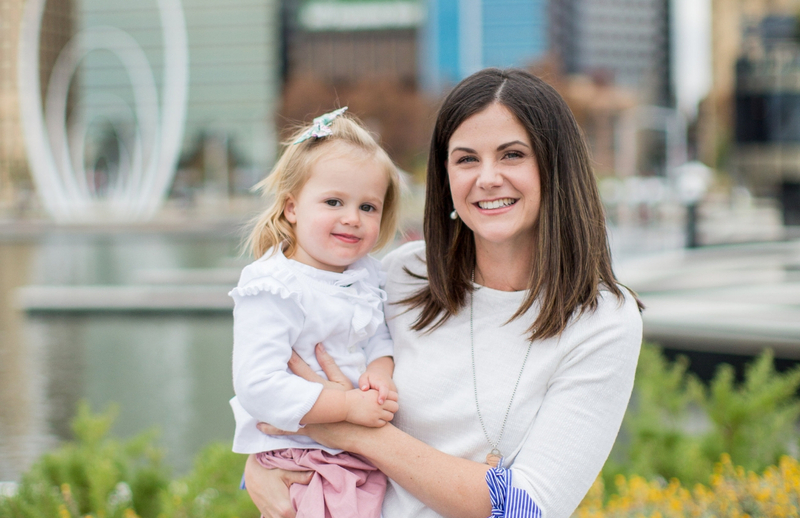 I live in Western Australia and I decided just over a year ago to make the jump into starting my own online health and wellness business called Wholehearted Family Health. I was a mostly stay-at-home mum, just doing a few casual shifts at the hospital before I contacted Business Jump. 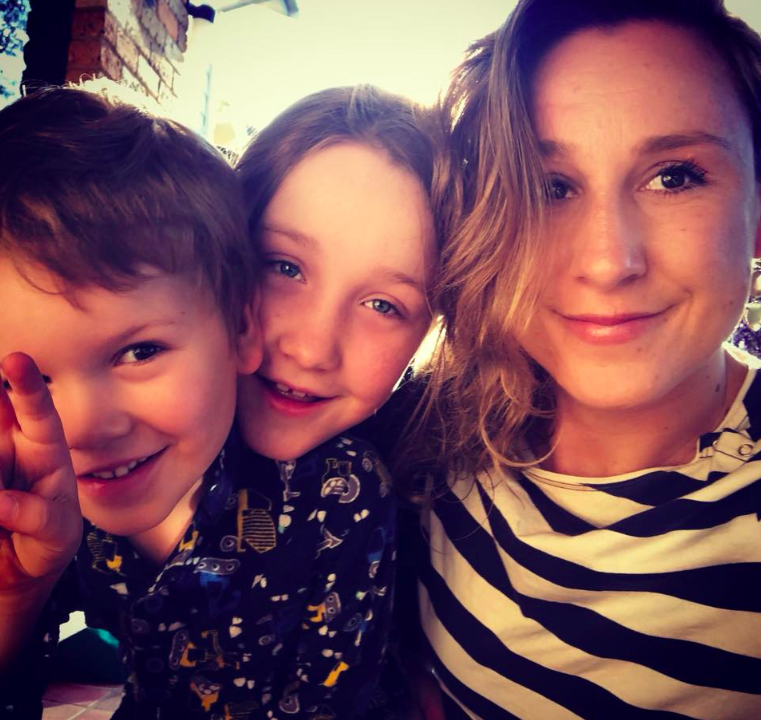 I had resigned from my dream job as a community midwife when my daughter was 8 months old because I didn’t feel ready to return to work part-time and put her in child care. I was dreaming of a new challenge and something that I could throw myself into as a side hustle. Why Being Fired From My Job for Being a Mum Was the Best Thing Ever. Here is a confession that I fear mums like me might get stoned for saying out loud. Taking kids to parties… not high on my list of favourite things to do. But if not, I am not great at making small chat over toilet training, starting solids and what the best type of nappy is. Talk to me about online business, making sales, funnels, email marketing, FB ads and you’ve got my attention. Doesn’t happen a lot though. I usually try to outsource the parties to my husband and when I have to go, I make the kids share their party bags with me as tax. Hi my name is Caroline Partridge, mum to Charlotte 7 and Matilda 5 & I live on the Mid North Coast of NSW. So before I contacted Business Jump, I had been blogging for about 9 months, on a website I had created from scratch myself. I had been sharing our allergy journey on a Facebook page, and writing about our journey. There really wasn’t much structure to it, and it had grown organically. If you are dipping your toes in the shallow waters of your dream online business, one thing you probably don’t have a lot of is time. Setting out into your own business adventure can be daunting and sometimes scarily overwhelming, but you know (and I know) that you can do it. Working from home: living the dream, right? Working mothers, especially those that are trying to launch their own side hustle or dream business, are generally pressed for time. We fit planning, budgeting, marketing, customer service, administration, production, sales calls, and everything else in between the gaps of looking after kids and managing our homes. Kindermums is an online community that helps mums with the transition into kindergarten and the early years of schooling. The growing directory includes everything you need to get ready for those all important first years of school from school readiness programs to bags, hats, lunch boxes, labels and more. The business offers hints and tips for getting your child ready for prep/kindergarten, offers real advice from real kindermums and features expert educational contributors. This exciting new website has already been built and is ready for its new owner! About The Business: Boys Clothing Marketplace – Name to be decided. If you’ve got boys you’ll know how hard it is to find the right clothes for them, so we can help you start an online boys clothing marketplace that connects your customers with the best pieces of affordable trendy boys clothing all on one convenient site. If you’re a mum who knows where to find all the funky & unique items for your little man, this could be the perfect opportunity for you.